BLOOMINGTON, ILLINOIS. 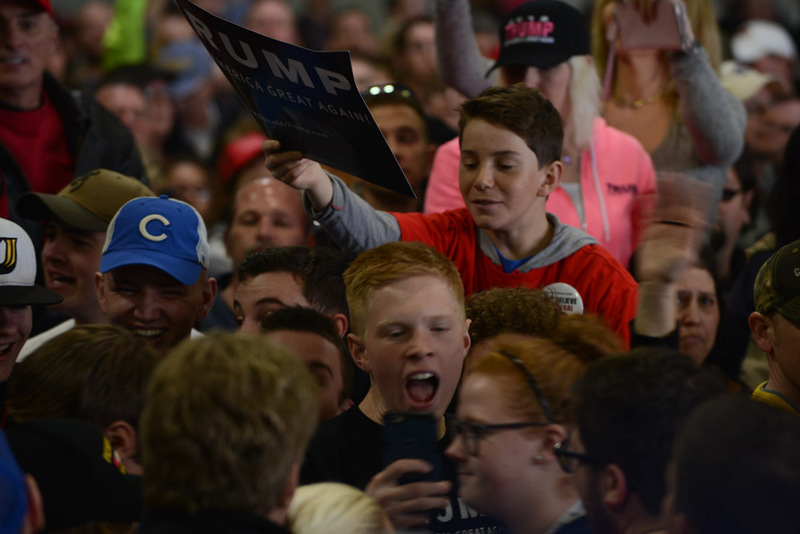 Supporters of Republican Presidential front runner Donald Trump react to protesters during his speech at the Synergy Flight Center on March 13, 2016. Protests have become a regular feature of Donald Trump rallies, contributing in their way to the spectacle and circus-like environment.